The key to improve your business growth can often be found inside your own company. Accounting gives you a precise and detailed picture of your company’s situation and should not be underestimated. Thanks to good accounting, you will be able to detect and solve inefficiencies as well as have a very good control over your expenses. S.J. Grand provides accounting in Beijing, Shanghai, Guangzhou, Shenzhen and all over China mainland. Decisions are made out of tangible facts. However, facts are neither easy to see, nor to interpret. So as to take the best decisions for your business, you need to have access to accurate data. In-depth analyze of your accounting books can provide you with the facts you need to think about your company’s future. S.J. Grand experienced accountants are used to turn figures into facts. We can help you to find the best way to counter the detected weaknesses: improve your cost structure, the efficiency of your teams or increase your sales. Working in a multicultural environment can lead to miscomprehensions that can be fatal when it comes to reporting numbers for accounting purposes. In a culture where offering gifts to an official isn’t bribery, transparency is the key to keep your expenses under control. S.J. Grand’s staff in Beijing and Shanghai experienced these issues with most of our clients. Therefore the firm has developed innovative solution to address these problems and simplify daily operations. For instance, OBK Secure has been developed and tested in S.J.Grand. It offers the companies using it a transparency never reached before. It also eases the communication between coworkers speaking different languages and facilitates the decision-making process. OBK will offer you an accurate overview of your business performances, enabling you to reduce costs and improve your teams’ efficiency. For the manager, it gives a tools to control and monitor accounting in Beijing or Shanghai from all over China, or even from overseas. As China’s economy grows, its regulatory environment is subject to frequent and substantive change. To help your business to thrive in these conditions, S.J. 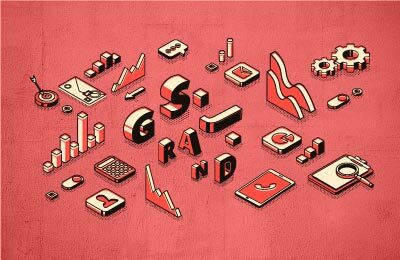 Grand has adopted an effective and scalable methodology that facilitates and enhances audit quality. We deliver independent and rigorous audits and limited reviews through a disciplined, cost‐effective process. Our audit team brings reliability and transparency to your financial reporting. Fraud, theft and litigation can all cause significant financial loss and irreparable damage to company reputation. S.J. Grand’s financial advisory team is well placed to handle these complex, sensitive matters in China. Our forensic accountants assist with evidence gathering and litigation support on a range of law enforcement issues including misappropriation, bribery, price fixing, and false invoicing. We also offer proactive fraud risk analysis and staff training programs to build a workplace culture of fraud prevention. Our office provides law advisory as well as forensic accounting in Beijing, Shanghai, Guangzhou and Shenzhen.